Gays are becoming more and more open and exposed especially that more countries have accepted gay marriages. This may also be one of the reasons why more gay dating sites are becoming more open to gay people from different parts of the world. One of the best gay dating sites today is Jack’d, which is a mobile-based app for curious gays, bisexual, and gay who are looking to meet other guys anytime and anywhere. Get to know more about Jack’d by reading the information below. Jack’d was established at Cornell University in the year 2011. It is a location-based dating app for curious guys, bisexual, and gays who are looking to meet other guys. As of this writing, there are 1.2 million members from 2,000 cities in over 180 countries. The site believes that everyone should be more than proud of who they are. With this dating app, they all be able to bring people together no matter what part of the world they are. One of the many reasons why you should choose Jack’d is because this app can be downloaded for Android, iOS, and Windows devices. It is part of the Online Buddies LLC company, which caters to different dating apps today. This means that you can just download and install and start meeting guys around your area in only a few clicks. Another good thing about Jack’d is that searching for members is easy and can be done at the homepage itself. You can also opt to choose for the scenes that you prefer like, bisexual/straight curious, long-term relationship, strictly friends, big muscles, bears, or twinks. Of course, a good dating site is something that can give you unlimited messaging. Messaging is important because it will help you get to know the members on the site. 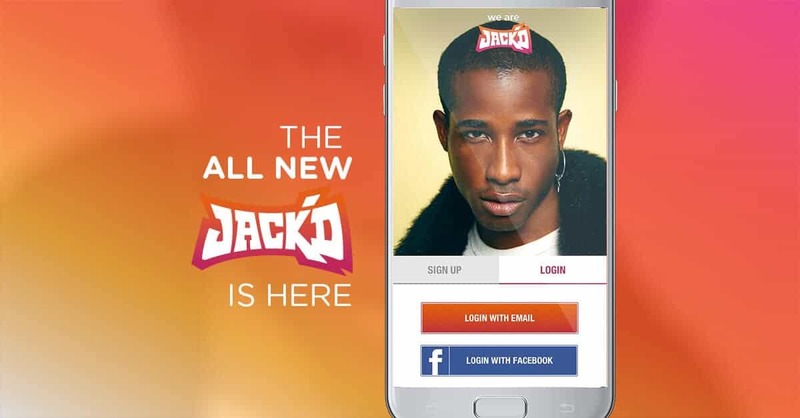 Jack’d offer an unlimited messaging, which will help members to get to know each other and develop something more profound than a friendship. What’s right about this is that you can message each different no matter where you are because you can download it on your phone. Downloading and installing Jack’d is free. You can sign up for free and create your account in just a minute. There will be an image based authentication process, which will help prove that you are an actual person. Upon registration, you will need to complete your profile and add in your weight, height, and of course your age. Once done, you can start uploading a photo of yourself. You may opt to add in pictures and put them under your private album, or you can put them in public. One of the features on Jack’d that you can enjoy the anonymous browsing. You can browse through the profiles on Jack’d without anyone noticing or knowing. So you don’t have to worry about browsing other members’ profiles because you can do that without anyone knowing. The insights feature is where you can check data on individual users. For instance, you will know how often the user response to messages. You will also see if that person is even responding or no longer active. Another good thing about this feature is that you will know the kind of gay guy that person is looking for. This is one of the best features because you will get to see the people who have viewed your profile. If you see someone who you think is an excellent person to talk with then messaging that guy will do. You will know if someone you like viewed your profile and hope that they do feel the same way. Of course, to understand this, you need to message them and strike up a conversation. This is typically similar to other dating apps, where you need to swipe to the right to match and left to unmatch. The good thing about this is that you can match yourself with other guys here. If that guy did the same, you would both be notified. The Swipe to Match feature is available for the ones who are near you and as well as the others who are too far from you. Overall, Jack’d is the best gay dating sites especially if you want to meet people who are in the same area as you. Dating will never be this easy and thanks to Jack’d. Sign up now and find your perfect match.